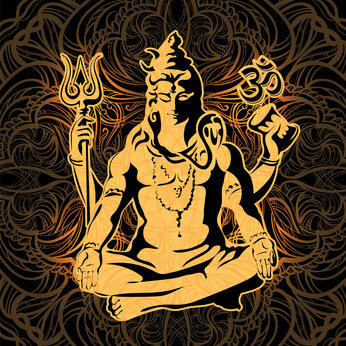 The Brainwave Entrainment Audio contained herein is for tapping into the transcendent peace of the great primordial God Shiva. The frequency used is ALPHA with a musical accompaniment, which will put you in a relaxed state so you may meditate on the stillness of his being and tap into his primordial energy. Shiva, is one of the most mysterious Gods of the Hindu pantheon. His essence can be found in all things, yet his tranquil, yet fierce energy can seem out of reach for some. His images often depict him in a meditative state or in his most common form, the Nataraja or the one who dances within the circular fires that represent creation and dissolution. His essence is very much considered transcendent and limitless. He is the primal and raw soul of the universe. It is for this reason he is the patron God of Meditation and Yoga, two domains that are often used in magick and the assumption of transcendent power. This Audio will help you tap into his power.